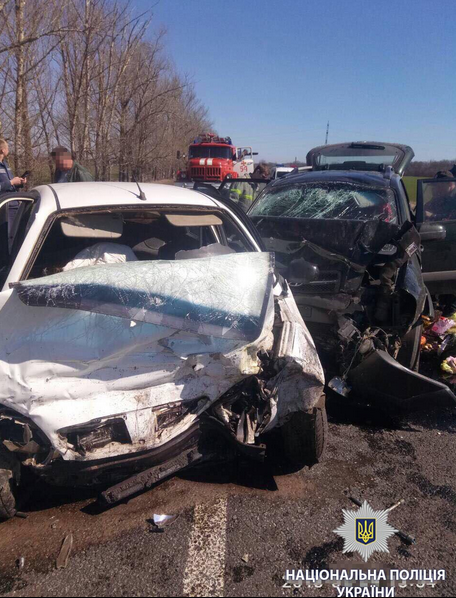 Two cars clashed in Kharkiv region, four people died as a result, as Kharkiv police press-office reported. It was noted that the accident occurred on Chuhuiv-Milove highway. According to the preliminary data, the driver of the Hyundai Tucson car drove out on the contra flow lane and clashed with Daewoo Lanos car. “As a result of the accident, a family from Kupiansk (the driver, his wife and two children) died. The driver of another car and four passengers, including a 11-year-old boy, are hospitalized,” the message says. The crime scene investigation team along with the experts are working at the scene of the accident. The circumstances of the accident are being determined.